That’s a quote from Peter Athans, who is one of only a few climbers who have been to the summit of Mt. Everest seven times. He was quoted in an article in National Geographic about the importance of failure in any endeavor. I’d been reading that on the train to downtown, largely as a means of staving off the dread that comes from being on my way to an evening of climbing stairs. So my goal for this evening was to do another five climbs for a vertical kilometer, and I wanted to try and flatten out my pace. That is, I wanted to try and have a smaller spread from the fastest to the slowest of the five. Also, I was hoping that if I could do that, my total might add up to less than the 53:57 I posted last Wednesday. And as usual, George was there, and had basically the same goal. So I had a goal, and some motivation. The first time up, I held back a bit. I was aiming for a pace of 4 3/4 floors per minute, and I had to slow down a bit to not get too far ahead on the first time up. I was hoping that if I held back on the first climb, I’d have more energy for the later ones. And for the most part, the strategy worked. My first four climbs were very close in time, at 10:36. 10:39, 10:40, and 10:55. I was hoping to get the last climb in under 11, or at least not much over it. I rested at the bottom for several minutes before starting the last climb. I’d remembered to bring some Gatorade, so I finished that before starting up. 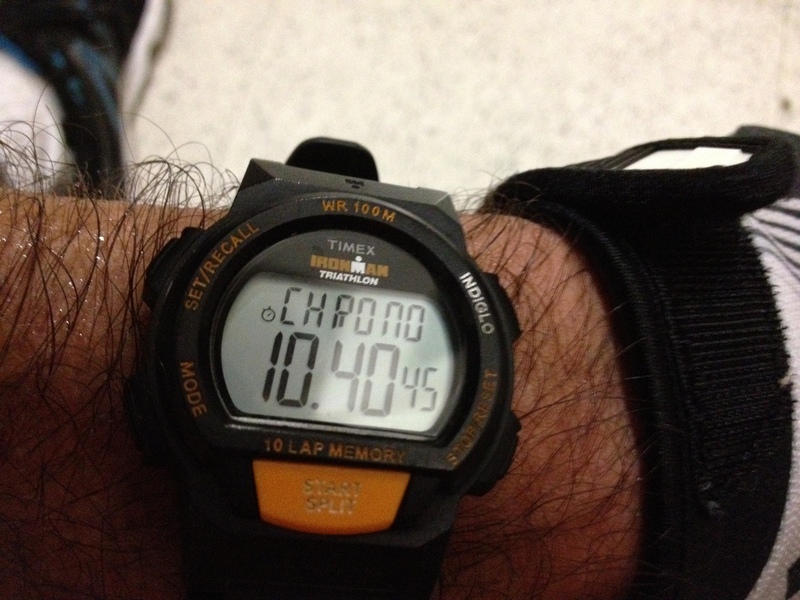 I managed to keep to the pace up to about the 20th floor, and then I faltered a bit. 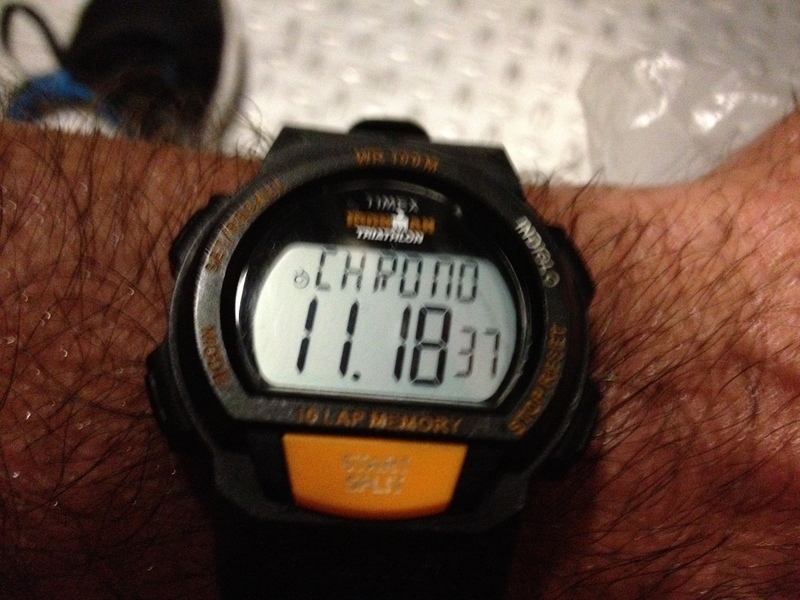 I had to dial the pace back to 4 1/2 floors per minute the rest of the way up. 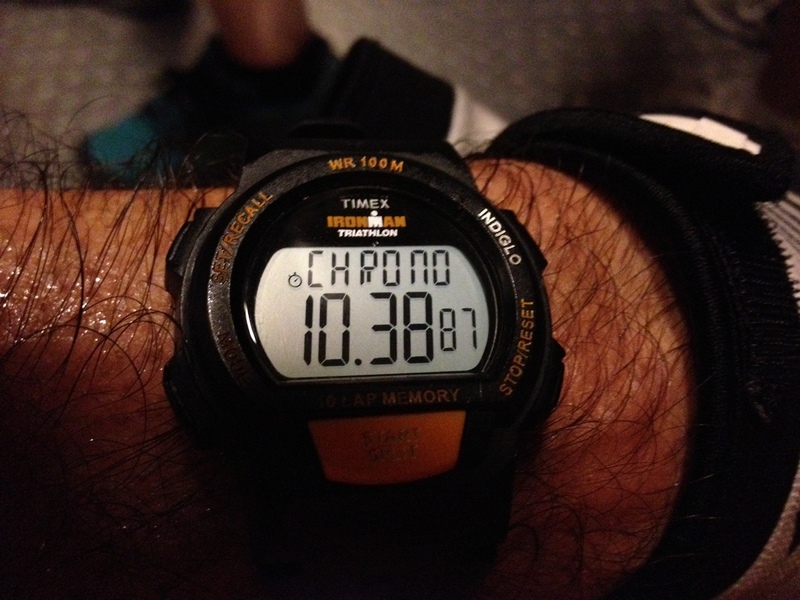 That’s the pace that works out to 11:22, but I was hoping that I’d go a bit faster, since I’d started out faster. And when I got to 49, I managed to eke out a bit of a sprint, just because I knew that I could stop as soon as I got to the top. And I managed to come out at the top at 11:18. That’s slightly faster than 11:22, but not by much. 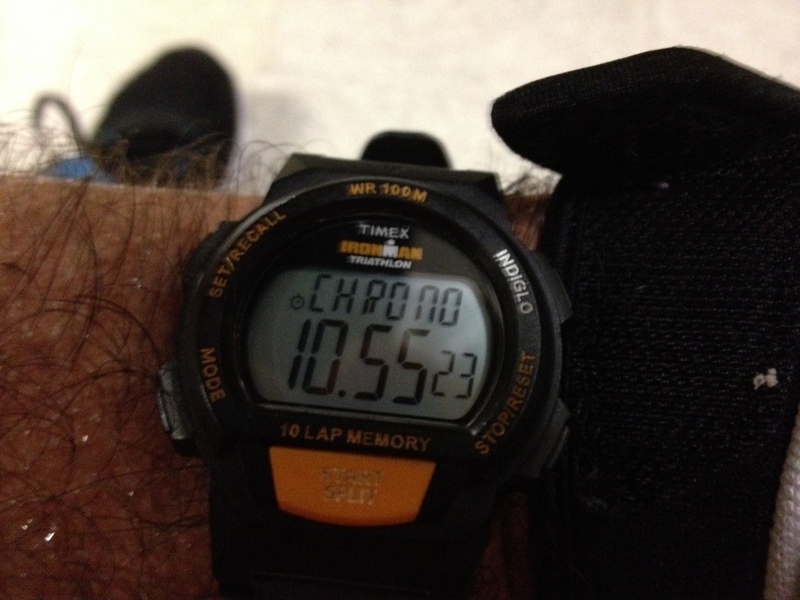 Still, I did manage to flatten out my times, with only 42 seconds difference from the slowest to the fastest. That’s better than the 61-second spread last week. 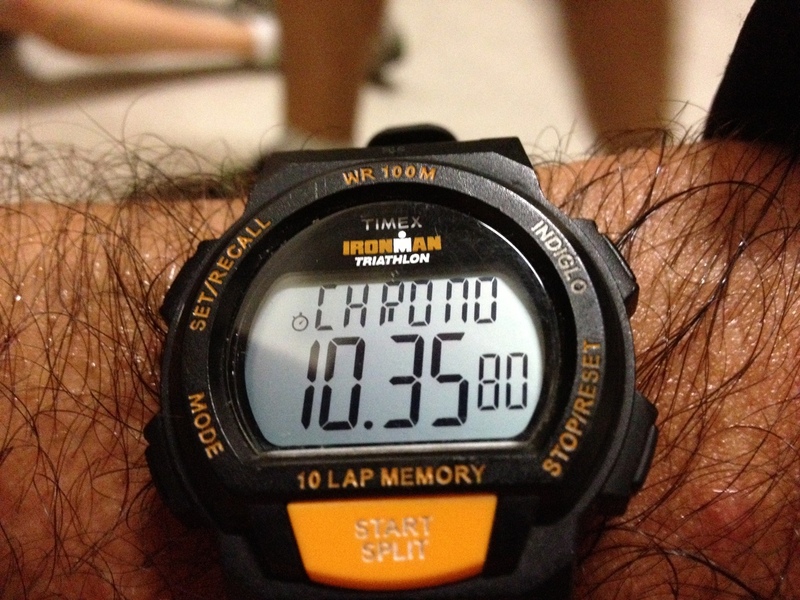 But when I added up my times, they totaled to 54:08. So my average was about 2 seconds slower for each of the five climbs. Oh well, they can’t all be gems. As National Geographic had told me on the way downtown, there can be no success without failure. And no matter what, this one was still nothing to complain about. Apropos of nothing at all, I just added it up, and so far in this round of practice, I’ve climbed the Wilshire-Figueroa building 49 times. One more time, and my total climbing will be 10,200 meters, which is just a hair over the height of Mauna Kea from the sea floor to peak.